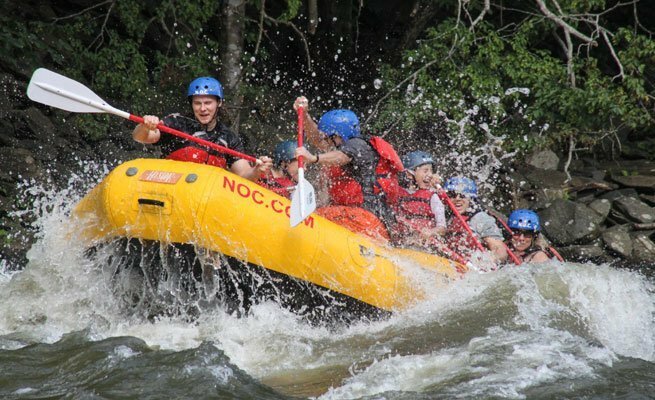 NOC’s Pigeon River discount whitewater rafting trip is one of the best Gatlinburg vacation and attraction deals around. 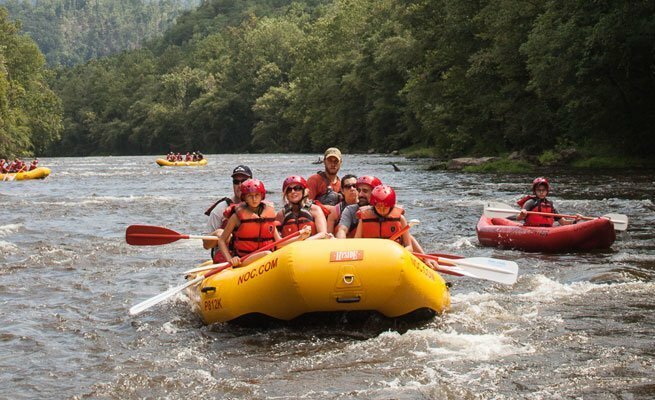 Guests save $10 per person on Pigeon River whitewater rafting trips just by booking the first or last trip of the day. 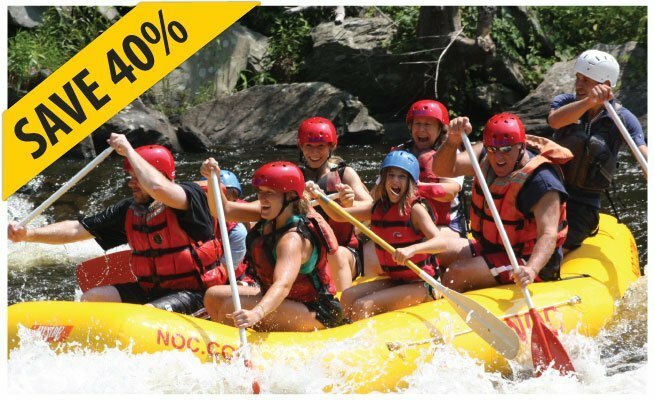 This means you get the same premium NOC river rafting experience at a great price. And there will be less crowds on the river to boot. 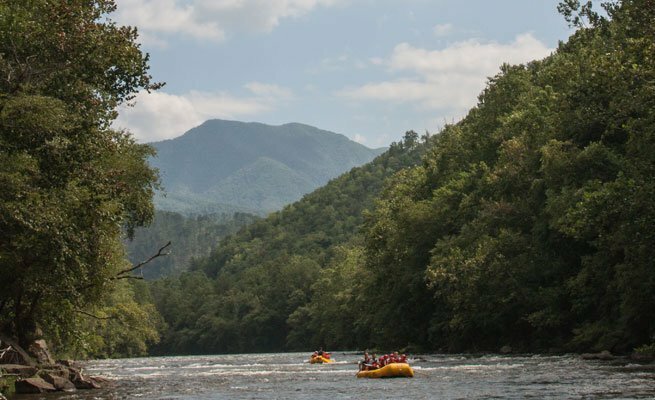 This deal also lets you efficiently schedule your rafting trip at the beginning or end of the day, giving you more time to enjoy time with your group in Great Smoky Mountains National Park, Pigeon Forge and Gatlinburg. 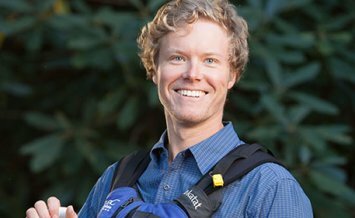 Curtis England Curtis, our Nolichucky River Mananger, loves everything involving whitewater and the outdoors. From Asheville: (approximately 55 miles) Take I-40 West towards Knoxville. Eight miles after the NC/TN state line, take Exit 447 (Hartford Rd). At the bottom of the ramp, turn left and go under I-40. Then turn right onto Hartford Rd. Drive 1/4 mile and turn left at the NOC sign, just as the road starts to bend left. Follow the gravel driveway to our Pigeon River Outpost. Welcome! 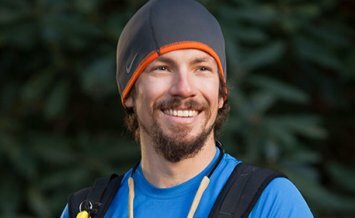 From Knoxville: (approximately 60 miles) Follow I-40 East towards Asheville, then take Exit 447 (Hartford Rd). If you pass the TN/NC state line, you've missed the exit. At the end of the exit ramp, turn right onto Hartford Rd. Drive 1/4 mile and turn left at the NOC sign, just as the road starts to bend left. Follow the gravel driveway to our Pigeon River Outpost. Welcome! From Gatlinburg: (approximately 30 miles) Take Hwy 321 North to Cosby (light #3 in Gatlinburg). At stop sign in Cosby, make the left turn to stay on 321 (this is a T intersection). Continue on 321 until you reach I-40. Take I-40 East towards Asheville, then take Exit 447 (Hartford Rd). If you pass the TN/NC state line, you've missed the exit. At the end of the exit ramp, turn right onto Hartford Rd. Drive 1/4 mile and turn left at the NOC sign, just as the road starts to bend left. Follow the gravel driveway to our Pigeon River Outpost. Welcome!